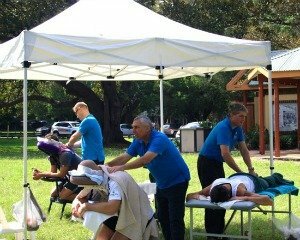 Massage is a great way to add an element of fun and enjoyment to sport events, fun runs and charity events like 20 Twenty Challenge. Massage keeps everyone feeling great after a physically demanding experience, it revives sore, tired muscles and speeds up recovery after competing in a sporting event. Massage also draws a crowd and delights event participants after strenuous and grueling challenges like the 20 Twenty Challenge, in this case including a 2km swim, 10km walk, 1.5km kayak, 5km walk and 1.5km kayak. 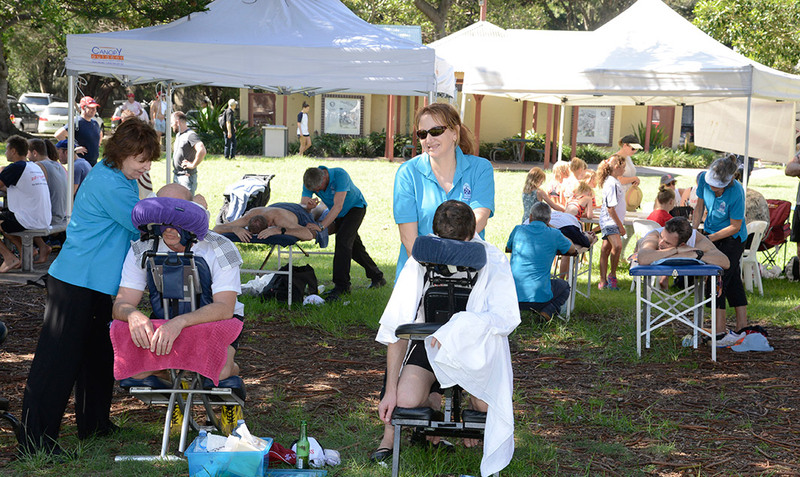 The participants of 20 Twenty Challenge absolutely deserved to be treated to seated and table massages. 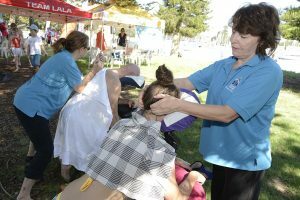 Our massage therapists used combination of sports massage, remedial massage, trigger point therapy and Shiatsu to help the fatigue athletes to recover faster. Massage works deep in the muscles, realigning the muscle fibres and connective tissue, which in return reliefs the muscular tension and soreness. Post-sport event massage is very effective, it helps to prevent stiffness and soreness of the muscles and speeds up the muscles to return back to their normal state. Using the trigger points helps to prevent muscular spasms and pain, allowing the muscle to relax and heal faster. Our massage therapists relieved lots of sore calves as well as necks, shoulders, backs and lower backs by using techniques which include kneading, joint mobilisations and assisted stretching. They always work within the comfort level of participants to make the experience not just effective but most of all relaxing and enjoyable. 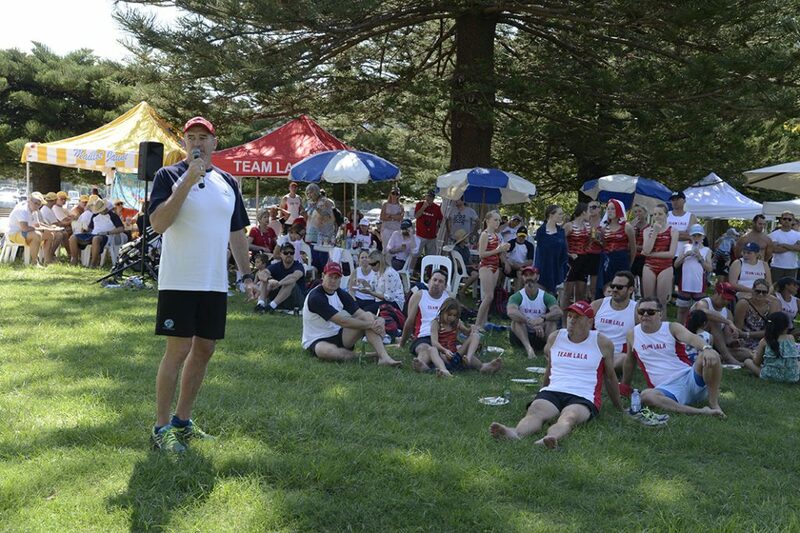 The participants feedback after sporting events is always very positive. Massage gives them time to relax their tired muscles and improves and shortens the recovery time after the sport event. We had a fantastic, sunny day at the 20 Twenty Challenge for the Cerebral Palsy Alliance 2017 charity event. Well done to everyone and see you at the next Challenge!